Around the house, there are many things for kids to do. 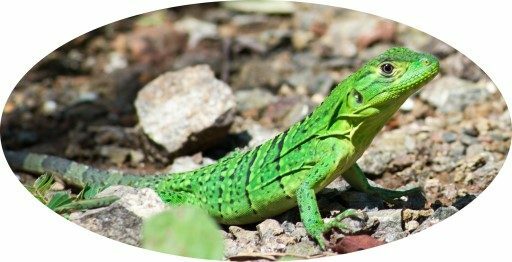 There are plenty of small lizards that are fun to hunt down and try to pick up (just make sure you put them back). There are howler monkeys just down the hill near the pool. THey stay in the trees and you can observe them from beneath. The view is amazing and the sunsets both at the house and the beach are incredible. Playa Tamarindo is a popular tourist beach with gentle waves and shallow water for a long way out. Playa Grande, however, is within walking distance (45 min) and is very quiet, as is the small beach just beside it. Hike north along the coast and you find amazing deserted black sand beaches. Just make sure you go just before low tide and make it back before the tide rises again. Playa Grande and Playa Tamarindo are great spots for beginning surfers, so you can take a lesson to get started and then rent a board and try it on your own. I also really liked Monteverde. There are beautiful quetzals there as well as many other types of birds and insects. It is also cooler than most areas in Costa Rica, so it is a great place to get away from the heat. If you are willing to do a lot of driving, Manuel Antonio is a great place to go. There are white-faced monkeys, howler monkeys, sloths, and more types of wildlife in an easy hike. Our guide was good and he showed us animals through his telescope. 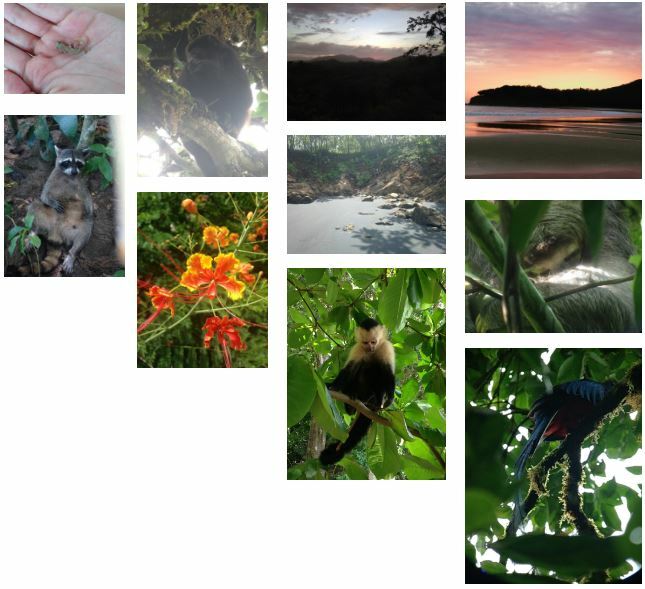 These were my favorite things to do during our vacation in Costa Rica. All photos were taken by me, no professionals.